i.s.t.a.a. meets UEFA – Page 3 – i.s.t.a.a. 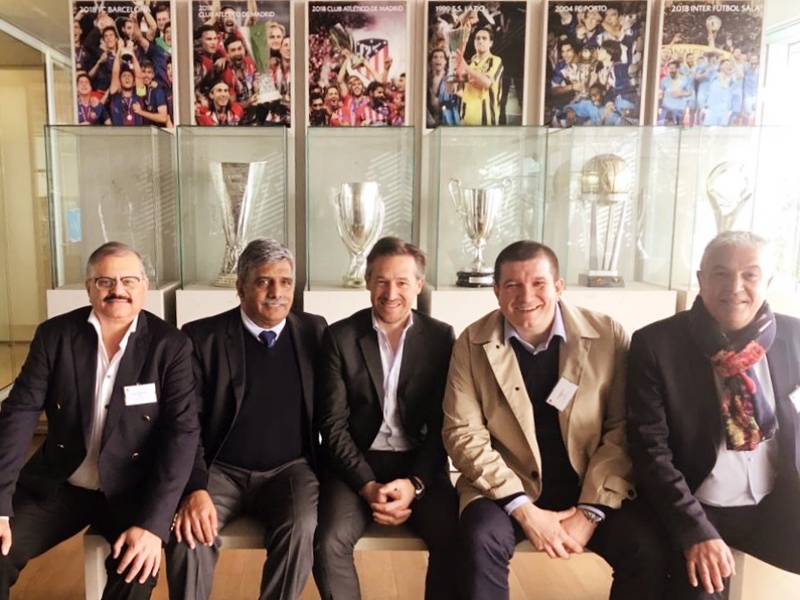 Nazeer Camaroodeen, President of i.s.t.a.a., Mayank Khandwala, Treasurer and Board Members Pavle Markovic and David Chevalier visited UEFA on March 18 and held a meeting with Grégoire Henry, Head of Travel, Accommodation and Conferences unit, at the UEFA headquarters in Nyon. After the President and the Board members introduced i.s.t.a.a., its scope and mission, a positive and constructive meeting was held with Mr. Henry with the aim of studying the opportunities to develop and work towards a mutually beneficial cooperation between both organisations.